A timeless classic that has been loved for generations, BAMBI now joins the Walt Disney Signature Collection. In this life-changing adventure, Bambi sets off with his best friends Thumper and Flower to explore the wonders and challenges of the woods -- and fulfill his destiny as prince of the forest. Full of humour and heart, and featuring awe-inspiring animation, BAMBI remains a family favourite, ready to delight a whole new generation.|In striving for realism, the artists heard lectures from animal experts, made field trips to the Los Angeles Zoo, watched specially filmed nature footage shot in the forests of Maine, and even studied the movements of two fawns that were donated to the Studio. When I was a child I love Bambi so I just couldn't wait to add this to my Blu-Ray collection. Watching this brought back memories of my childhood. 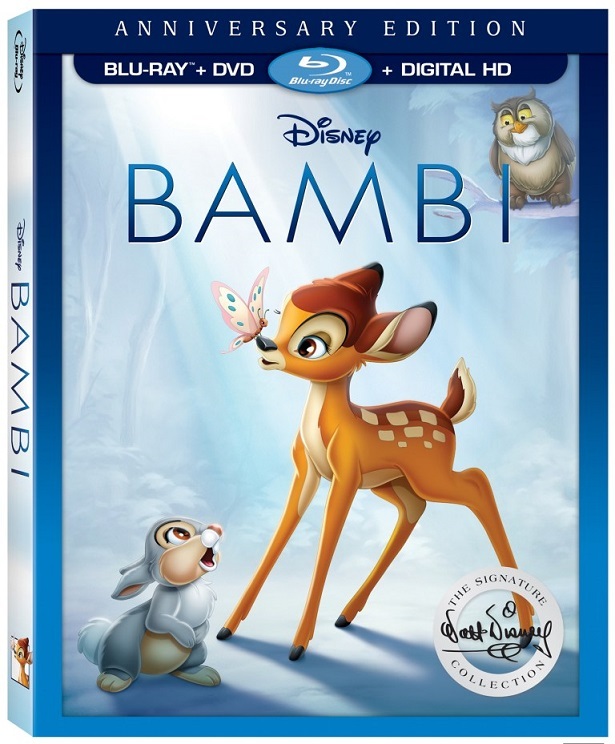 Bambi Signature Collection is a great movie to have in your collection and to watch with your children. I give this 4 out of 5. My daughter hasn't seen it so I'd love to watch this with her! I'd love to win this because I would love to watch this classic Disney movie with my kids. 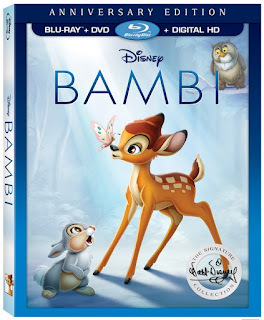 My wife loves Bambi and I would to win this for her and my daughter to watch together. I would love to win to be able to share one of my favourite childhood movies with my family. I want to win becasue I haven't seen this movie in years and I think my kids would enjoy it. My mom is a big Bambi fan and I am sure that she would love to watch this with my girls.